To have more success when trying to sell your vehicle it is necessary to advertise it even when you are on the go. In addition to cleaning your vehicle and making sure it looks its best, displaying for-sale signs prominently in your car can help bring it to the notice of prospective buyers. To make your vehicle more appealing to potential buyers, clean it up before trying to sell it. A shiny exterior and clean interior go a long way towards helping you sell your vehicle. Step 1: Clean the exterior. Start by washing the exterior of your car using car soap and water to wash away dirt and debris. Start at the roof of the vehicle and work your way down, working in sections if necessary. 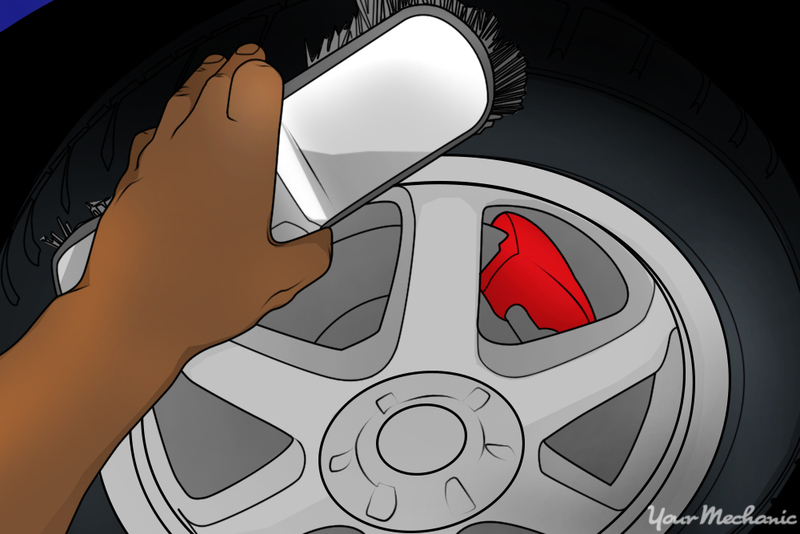 Don't forget to clean the tires using a hard-bristle brush. Once the vehicle exterior is clean, dry the car's surface with a microfiber towel. This helps prevent the formation of hard-to-remove water spots. Tip: If you have the time and budget, get your vehicle professionally detailed at an auto shop. Step 2: Wax the exterior. After washing the vehicle, follow up with a coat of wax, applying the wax on one section at a time. Allow the wax to dry and then wipe it away with a clean microfiber towel. Step 3: Clean the interior. After you have finished with the exterior, it is time to clean the interior of your car. Start by cleaning out any bigger pieces of trash. Remove the car mats and clean them separately. Vacuum the floor of the vehicle, making sure to get into any nooks and crannies in and under the seats. Use a vinyl, carpet, or leather cleaner to remove particularly tough stains on upholstery. Even with a clean vehicle, unless passersby know that your vehicle is for sale, they can't approach you to buy it. Make a “For Sale” sign to place in your vehicle. Step 1: Determine the sale sign dimensions. When making your for-sale signs, do not make them too big or else they will disturb you while driving. Make sure it is big enough to provide basic information such as your contact details and asking price for the vehicle, but not so big that it obstructs your view. An 8.5 inch by 11.5 inch piece of sturdy white cardboard, or poster board, is big enough for most sale signs. Step 2: Decide on the information to include. Print “For Sale” across the top of the sign in big bold letters, preferably in an attention-grabbing color, such as red. Include other information, such as the price of the vehicle in big bold letters. Finally, provide a phone number where anyone interested can reach you. Whether this is a mobile or home number, ensure that it is visible to any potential buyers as you drive by. Step 3: For-sale sign positioning. 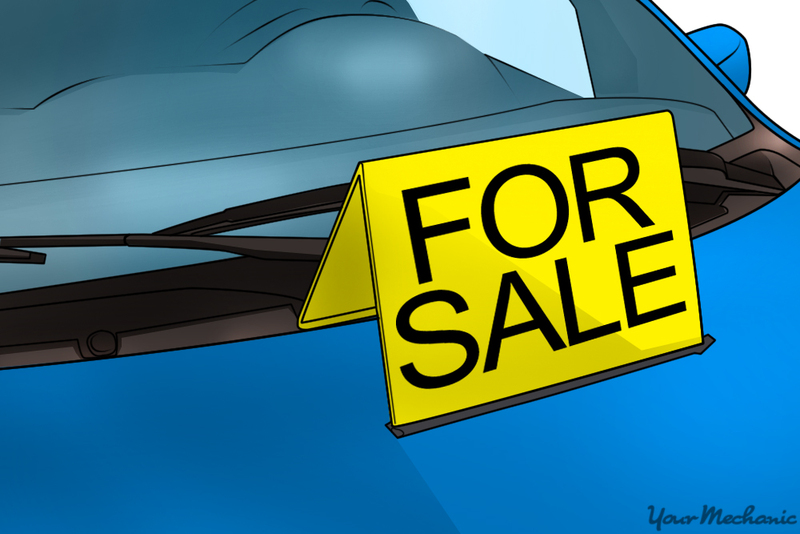 Pay attention to the placement and positioning of the “For Sale” signs in your car. 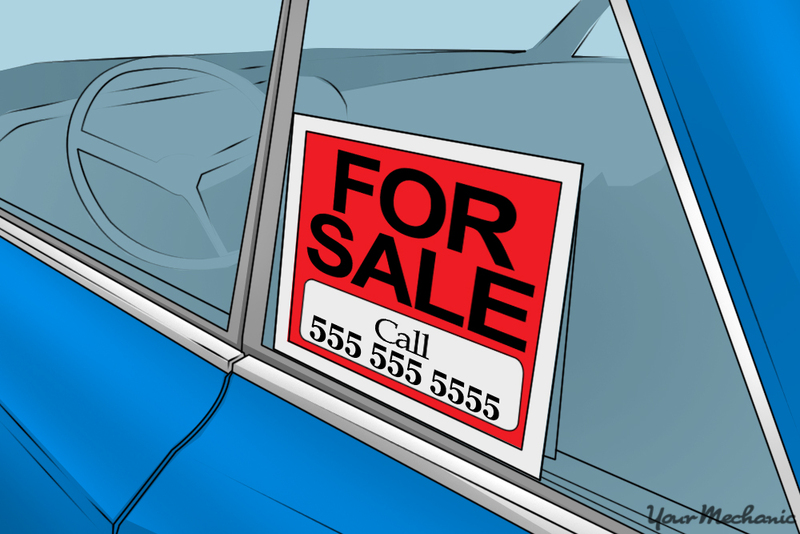 When positioning your for sale signs, try to place them in both rear-door windows and in the rear window. Now you can drive with the minimum of obstruction and still let those around you know that you are interested in selling the vehicle. When you park, you can also place a sign in the front window, so that it is visible from the front of the car. Ensure that you remove the sign from the front windshield when you drive your car. Warning: Laws prohibit obstructing the view out of the front windshield and both front-door windows while driving. You can sell a vehicle quicker when you advertise it on the go. Just make sure not to obscure your view or you could get in trouble with the law. It is best that you get a certified mechanic, such as one from YourMechanic, to perform a pre-purchase car inspection and safety inspection to determine if you need to fix anything before selling your car. Q: I got hit in the back. How much has my car depreciated in value? Q: He wanted $2900, he came down to $2400. Is it a good deal? Is there anything wrong with this year if Kia cars? Q: Should I trade in my car or find someone who will buy it as a "junk" car?